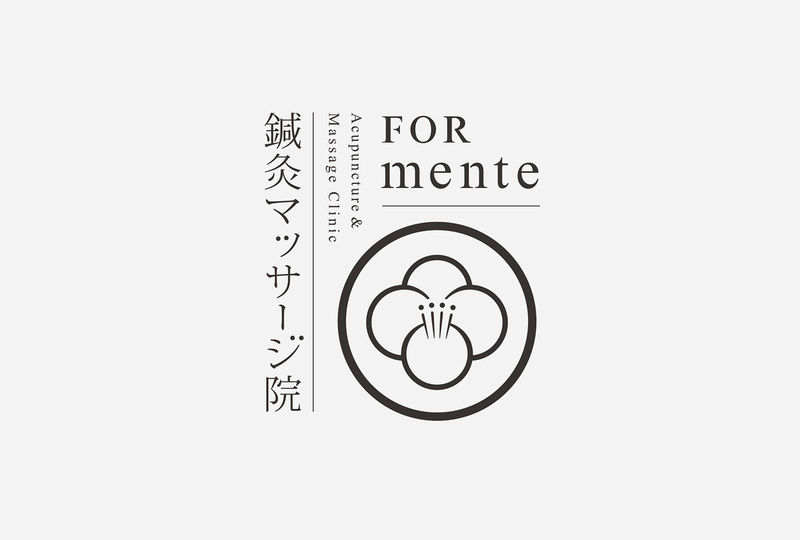 "FORmente Acupuncture & Massage Clinic," which opened in Urayasu, Chiba Prefecture, is a clinic that provides comprehensive support for the maintenance of your body, through treatment based on Chinese medicine. 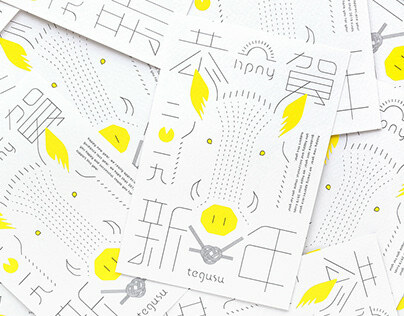 tegusu handled the overall design and supervising work. We designed the clinic's VI. 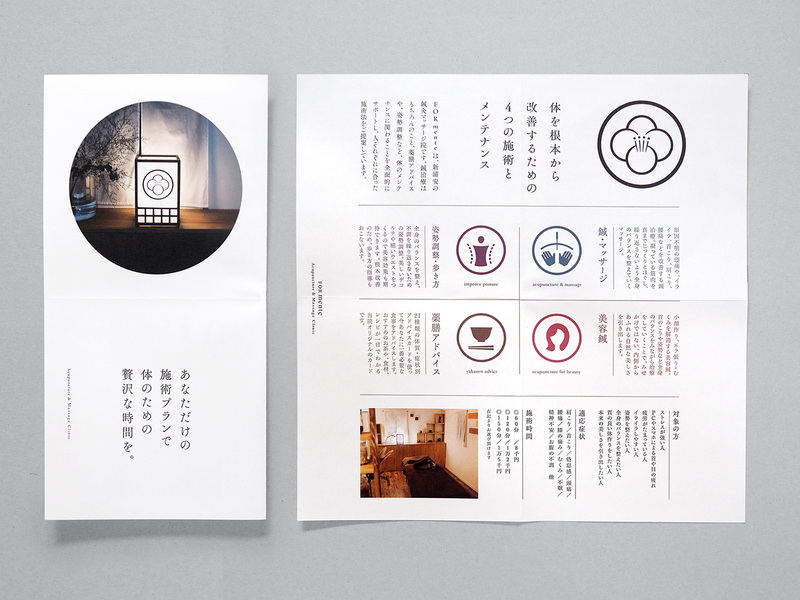 The items we designed range from basic stuff such as the shop card and the business card, to promotional tools such as the leaflet and the medicinal food sheets. 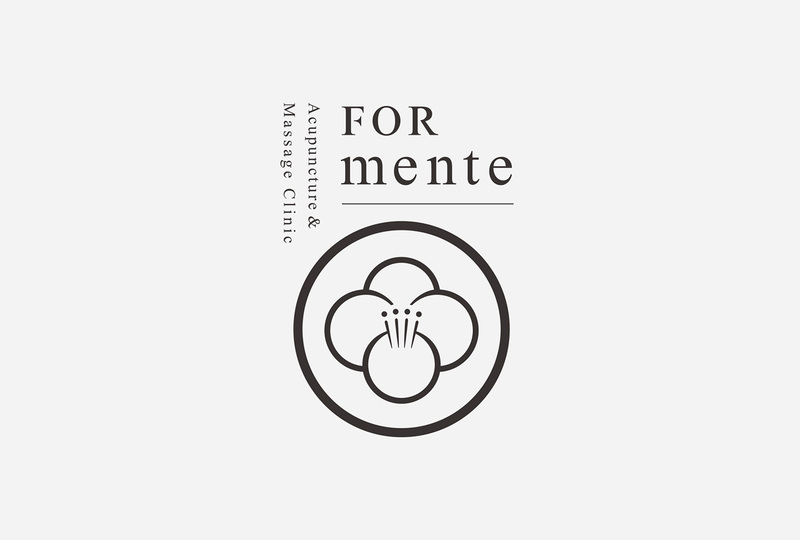 The name" FORmente" comes from the clinic's concept, "Provide truly necessary maintenance for the body through acupuncture & massages, aesthetic acupuncture, posture correction and advice for medicinal food, the four main pillars of the treatment". 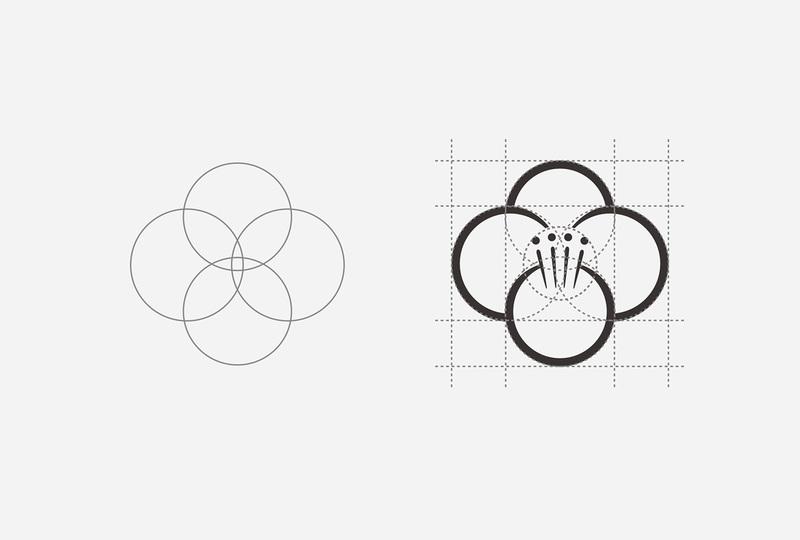 We defined the design rule, which required us to include a structure with four motives molded into one shape in our design of VI and other promotional tools. 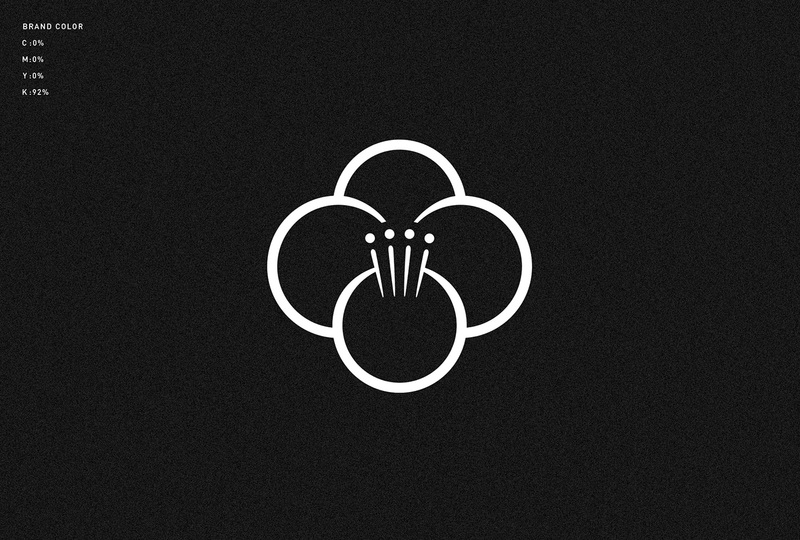 The logo is in the shape of a flower which is made up of four circles. 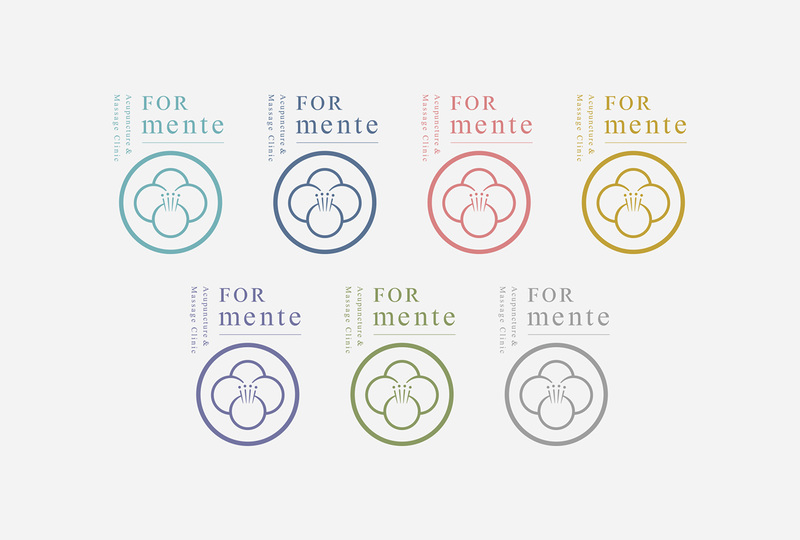 This signifies the clinic's approach to solving fundamental issues of patients' bodies by combining the four pillars of their treatment. 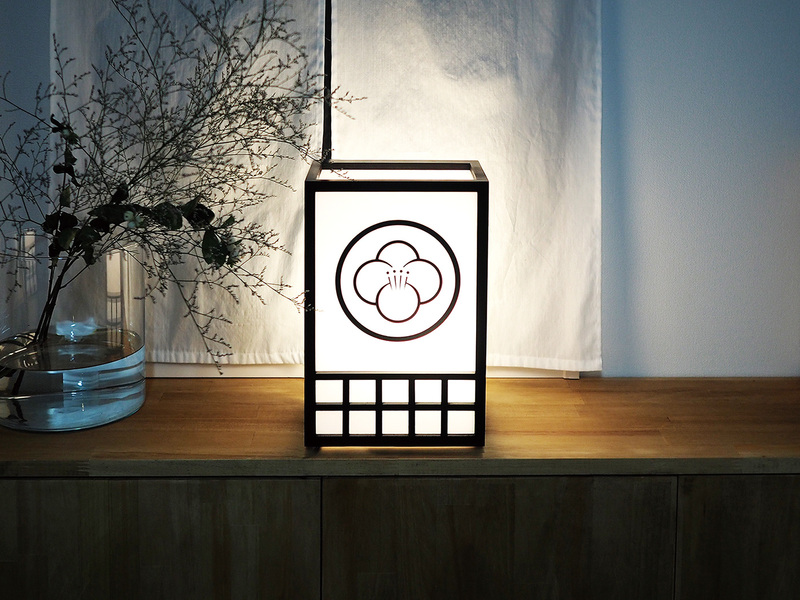 It also symbolizes the way patients regain their healthy bodies, which is just like the way a flower blooms. 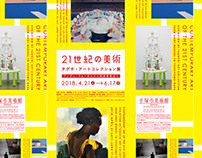 The flyer, folded in four, is designed so that you can see the four pillars of the treatment at a glance simple by opening it. We created an icon for each of the four pillars of the treatment, which are acupuncture & massages, aesthetics, posture and medicinal food. We paid attention to the consistency of the design, so the same icons are also used for service descriptions on the website and other media. 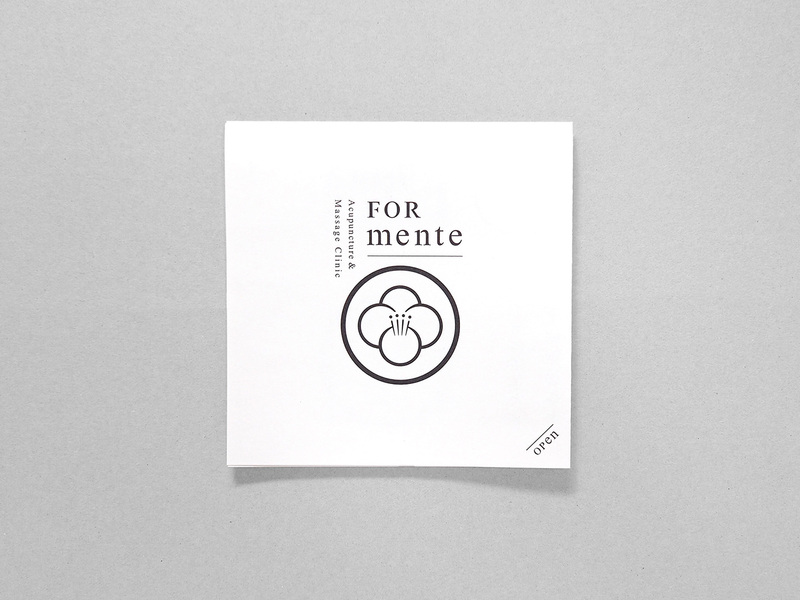 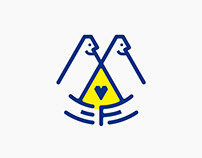 The design of the medicinal food sheets we created was inspired by an old book. Twenty-one kinds of "sho", which means "diagnosis" in Chinese medicine, are visualized in illustrations. 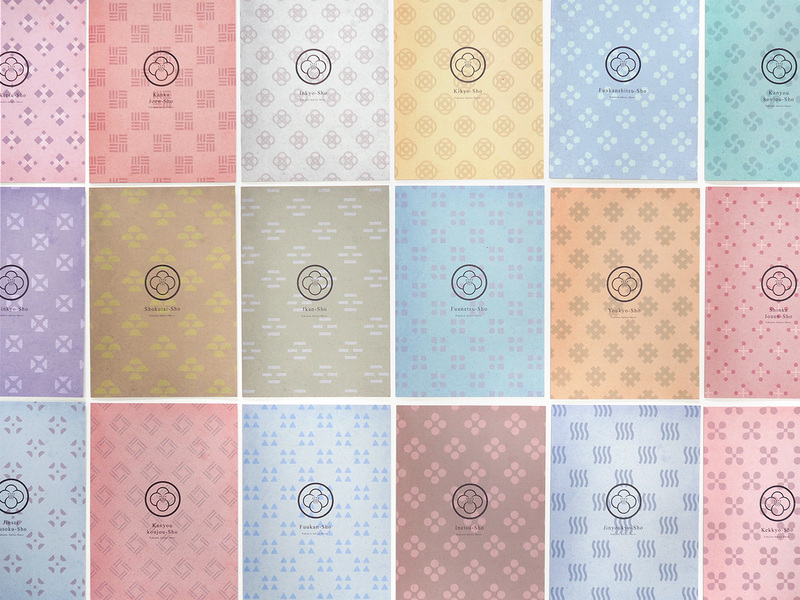 Each sheet is dedicated to one kind of "sho", and lists up the food and ingredients recommended for each symptom. 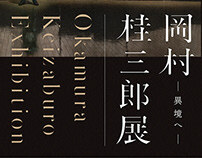 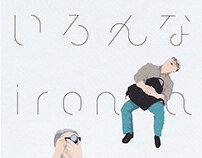 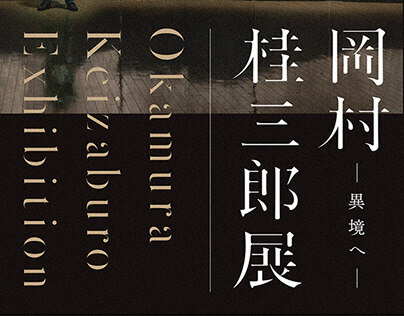 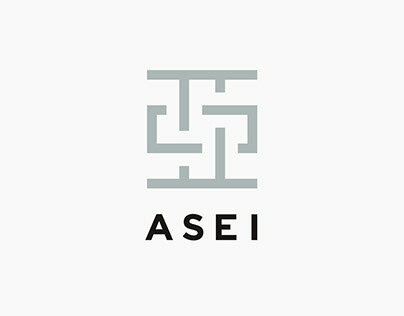 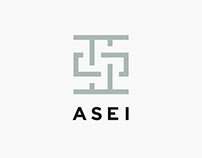 On the background of the cover, a pattern with shapes made up of four motives is used. 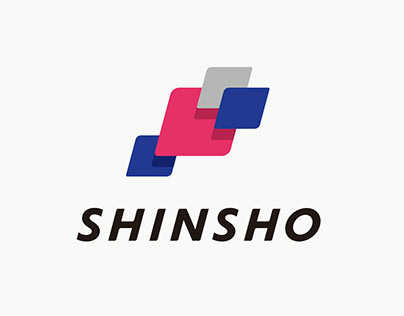 The background color and the color of the shapes create the color combination that matches the impression of traditional Japan. 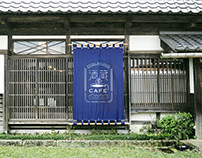 The clinic's space for treatment has a uniquely oriental atmosphere. 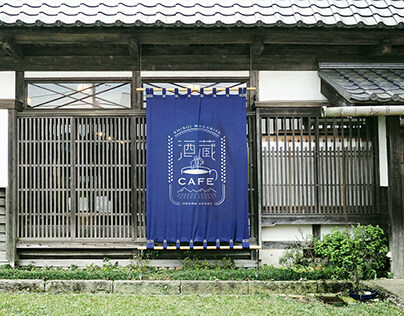 The tranquil, private space is produced with objects like fabric panels made with Japanese paper and a paper lantern that has the eye-catching logo on it.